The pumps Nijhuis allow to pump over the pure, polluted, fresh, sea water, sewage and waters with the content of oil products. The Nijhuis company makes the pumps for sewage which long ago deserved world reputation for the reliable work with sewage with firm inclusions at the same time at a combination to the highest efficiency. Pumps for sewage of the Nijhuis Pompen company of the RW series (E) (a horizontal arrangement of a shaft) and the RWV series (E) (vertical) can be put both with single-channel, and with the two-channel driving wheel. Both of these wheels have concentric section not less than 120 mm through passage that provides the most free movement of firm particles on a hydraulic part of the pump. 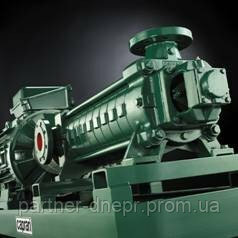 Application of a shaft of the increased thickness and reduction of its carrying out allows to reduce beats to a minimum, to exclude a possibility of its break and to prolong service life of omental stuffing. The epiploon can be executed in the form of omental stuffing with oil either with water lubricant or in the form of mechanical consolidation. All pumps have the folding design allowing to carry out repair and scheduled works without dismantle of pipelines and valves on the unit. 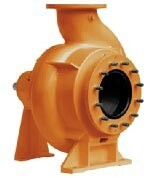 The screw pumps Nijhuis Pompen are designed by means of specially developed TURBO.PRO and CFX.TASCflow program. 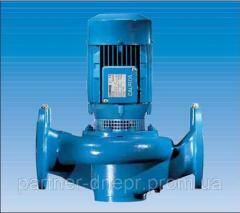 The driving wheel of the pump of a series Mars thanks to this program has the optimum form. 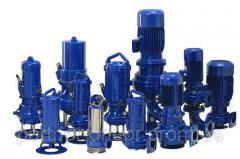 Screw centrifugal pumps are an ideal decision for pumping of the crude drains with the content of fibrous inclusions and for pumping of the waste silted waters with the maintenance of the dry rest to 10%. 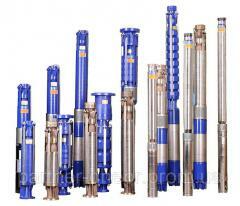 These pumps have the driving wheel with geometry which provides passing of rags and dlinnovoloknisty inclusions of water, without causing blocking of a shaft or loss of overall performance. 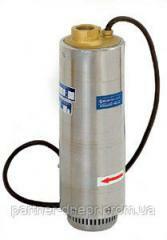 Unbelievable price on Import pumps Nijhuis in Dnipro (Ukraine) company Partner-Dnepr, OOO.